VICTORIA VINCENT says she is glad she didn’t turn her back on diving when an eye injury ended her promising career as a platform competitor. Instead, the 16-year-old has switched her attentions to making a name for herself in the springboard events. 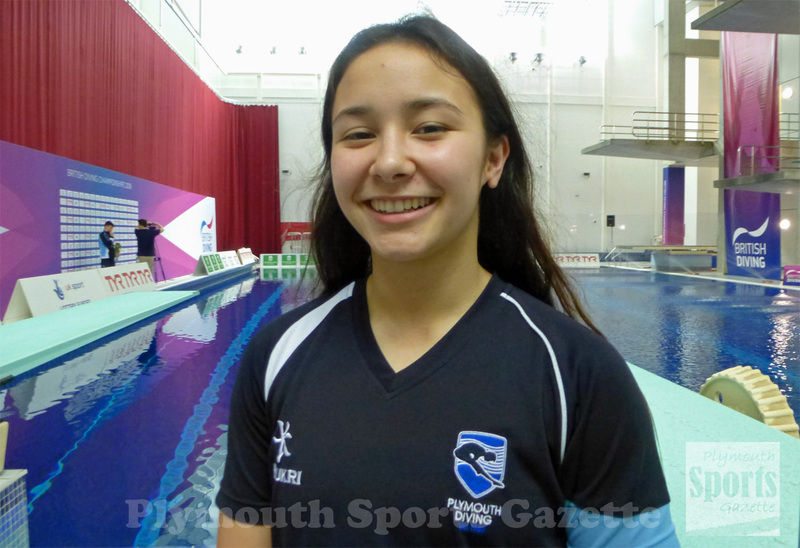 She showed her potential in the new discipline by finishing sixth overall and second junior in the one-metre event at the British Championships last weekend. She was also 15th in the three-metre event. It may not yet be close to the success she enjoyed as a platform diver – she won the British senior title as a 13-year-old, competed at the 2014 Commonwealth Games and was a European junior title winner in 2016 – but Vincent is happy with the progress she is making in the new discipline. The Plymouth College pupil initially suffered a detached retina in 2014 after competing at the Glasgow Commonwealth Games. She successfully made a comeback from that and won a junior European title in 2016, but then suffered more problems. “I had a few more eye operations, which meant that I wasn’t allowed to do platform anymore and meant I had to transfer to springboard,” said Vincent. “It was quite tough. I didn’t really like springboard to start off with and, to be honest, I was not really sure whether I wanted to carry on with the diving or just focus on school. “But I am glad I did carry on with it as I have come out with some good results. I got a PB on one-metre. My three-metre was not that great, but I got a PB as well as I’d never done it before. But instead of looking back at what might have been, Vincent is just looking forward and is determined to keep progressing.